WANT TO GET RID OF FLEAS?? Fleas in the home can be an irritating and annoying problem, requiring the advice of experts in Flea Pest Control. The major pests are the cat and dog flea. The small black flea often called a ‘ground’ or ‘sand’ flea is, in fact, a newly emerged, unfed cat or dog flea. Many people do not realise that most of the life cycle of the flea occurs off the pet. For every five fleas found on your cat or dog, there may be ninety-five in the carpet! This sounds hard to believe, but for most of its life, the flea does not look like the small dark insect that people recognise. 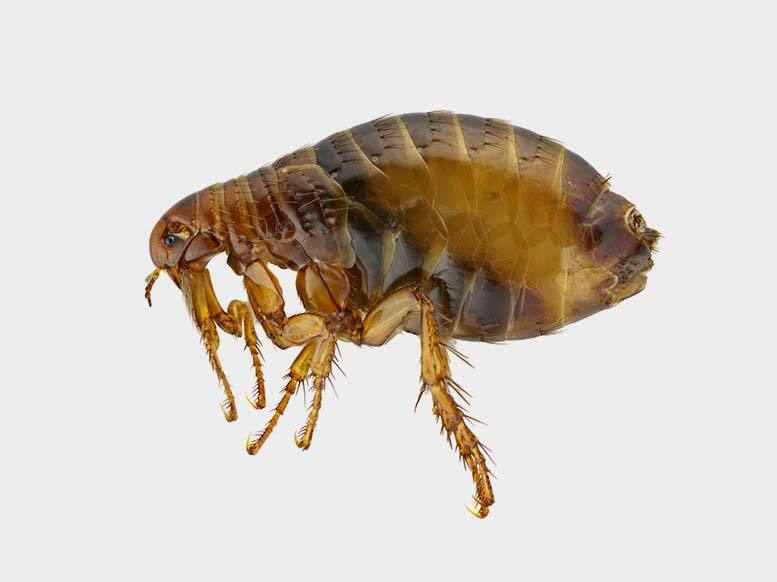 Fleas can remain dormant in their cocoons for several months waiting for vibrations to stir them into action. Adults emerging from their cocoons are small and black until they feed. They can remain alive for up to three months without food. WHAT DO OUR FLEA TREATMENTS USE? Flea pest control is carried out by applying an eco-friendly residual insecticide mixed with an insect growth regulator. This kills the fleas and stops them from reproducing, helping to prevent future infestations. The spray will not treat the eggs and further applications may be necessary to rid the property of the infestation. To learn more about specific species – click here. Our local Newcastle Kill a Pest team are easy to talk to, and we listen carefully to understand your specific situation. You can trust our advice and our professional pest control services, so contact us today for a free quote for Pest Control Newcastle. Newcastle Kill A Pest gives local Newcastle, Maitland, Cessnock, Singleton, Lake Macquarie and Port Stephens residents and businesses access to the best eco-friendly pest control techniques. We believe that delivering the highest quality results in Pest Control Newcastle is about much more than just providing a pest-free environment. It’s about the safety, health and peace of mind of our valued customers.